"Quick, efficient service. Total Recommend"
Grooms & Thomas Attorneys at Law LLC. 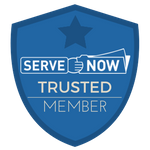 "We received excellent service from Amanda Curran. She doesn't stop until the job is done! Very efficient and a pleasure to work with!" were they successful, but they were successful within a day!! We wish them every success with Apex Legal Support Services, LLC and we highly recommend them!! Thank you Ladies!! P. S. We also LOVE that they support our VETERANS!!"